The Spanish Lords are the second oldest Hispanic gang on the north side of Chicago. In the year 1959, the “La Clark” and “La Madison” Puerto Rican settlements were being vacated and Puerto Rican families were moving into the Wicker Park neighborhood. As Puerto Rican people moved in they were met with angry white residents that had anti-Puerto Rican sentiment and many Puerto Rican youths were violently attacked by groups of greasers from the area, this brought about the need for protection. In the year 1959, youths gathered at the intersection of North Avenue and Claremont in Wicker Park and formed the Spanish Lords. The founder is said to be “Cortes.” The Spanish Lords formed an alliance with the oldest gang in Wicker Park, the Imperials from Leavitt and Schiller that would later become the Latin Kings. In the year 1964, the Spanish Lords, Latin Kings, Warlords and some others created the United Neighborhoods alliance which was an agreement for all Hispanic gangs to not fight against each other, instead they fought white greaser clubs like C-Notes, Chi-West, Taylor Jousters, Gaylords and the Simon City gang. 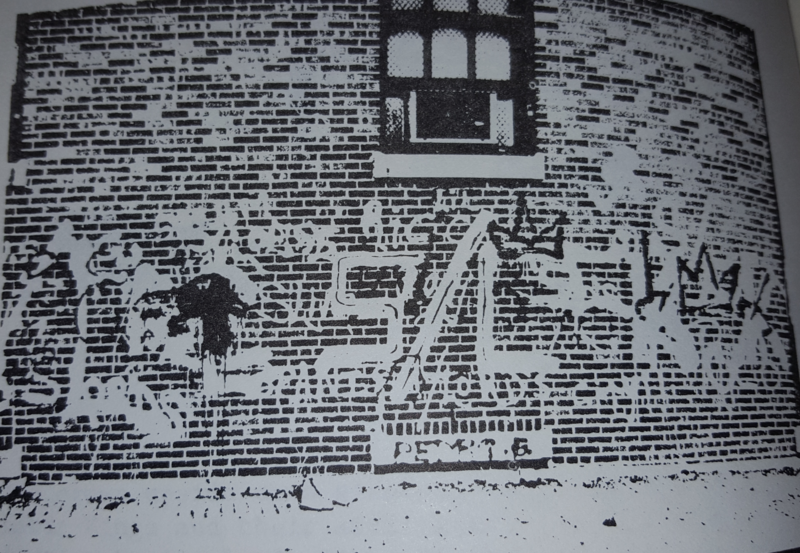 By the mid-1970s the Spanish Lords were fighting with Spanish Cobras and Latin Disciples (MLDs) as they migrated into Logan Square and Wicker Park. The Cobras and Disciples were not all about pledging into the United Neighborhoods alliance and instead became a force against the alliance. Spanish Cobras became the aggressors that started a war with the Insane Unknowns which was a strong ally of the Spanish Lords in 1975. At some point in the 1970s Cortez stepped down as the leader of the Spanish Lords or he was perhaps forced out of the position due to his heavy alcoholism that eventually killed him in the 1980s. After Cortez came “Curky” as the leader. Somewhere in the 1970s the Spanish Lords established a group of young members called “Future Spanish Lords” that was ran by “Flaco” in the Bucktown area. Later in the year 1978, the Spanish Lords were allowed to join the People Nation alliance because they were really close to Latin Kings and Insane Unknowns. Over time the Spanish Lords developed a deep hate for Latin Disciples and Disciples became their arch enemies. In 1979 Curky died in prison then “Rico” took over the organization. Eventually, the Spanish Lords at some point spread all over the Bucktown section of the Logan Square neighborhood at Armitage and Western, Charleston and Western, Mclean and Oakley, Shakespeare and Oakley (Holstein Park), Armitage and Oakley, and Damen and Dickens. They also opened turf at Diversey and Artesian just north of Bucktown but still in Logan Square. Spanish Lords also opened at Berteau and Damen in the North Center neighborhood. All the way on the south west side, the Spanish Lords opened at 87th and California which is on the border of the Ashburn neighborhood and outside the city limits in the suburb of Evergreen Park. In the year 1992, the Spanish Lords erupted into a vicious gang war with the Insane Unknowns and Latin Kings who were previously close allies. The reason for the Spanish Lords warring with Latin Kings is because the Kings took the side of the Unknowns in a dispute with the Unknowns or maybe it was the other way around, I am not sure. In 1994, the Spanish Lords and Latin Kings stopped warring with each other, but the rivalry with the Unknowns never stopped to the point where they became Arch enemies. The Spanish Lords would eventually lose their satellite chapter in North Center. The Lords would also eventually lose their original Wicker Park hood along with some of Bucktown because of gentrification in the area of yuppies and hipsters buying out the neighborhood for top dollar rates. This is all I know about Spanish Lord history. Who were the earliest enemies of Spanish Lords in the 1960s? 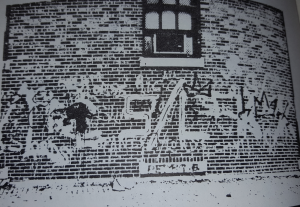 What year did SLs open Bucktown? What year did 87th and California open? What year did North Ave and Claremont fall? What is the time line of leaders starting 1979 up to the year 2000?